How many men do you have in your church? How many men do you have in your men’s ministry? We ask this question at every training class we do in Orlando. While the answers may vary, we typically get answers like: 500 men, 50 in our men’s ministry; 100 men, 20 in the men’s ministry; 75 men, and we don’t really even have a men’s ministry. Who are the men you think of as being “in” your men’s ministry? Is it the guys who come to your monthly men’s breakfast? The 12 guys who gather on Wednesday mornings at 6 a.m. for Bible Study? The last group of men who went on the retreat? We’d like you to consider looking at this concept differently: In actuality, everything your church does that touches any man is men’s ministry. Everything. As we’ve said, “your system is perfectly designed to produce the results you are getting.” This means that your church’s ministry with men is perfectly designed to produce the men you have sitting—and not sitting—in your pews. What would happen if you started thinking of your men’s ministry in these terms? Every man in my church is part of the men’s ministry. Everything our church does for and through a man is men’s ministry. An all-inclusive ministry to men attempts to maximize the kingdom impact of every interaction with every man, no matter the setting. Every man on the praise team, parking cars, working with the youth, doing volunteer accounting—it is all ministry to and through men. The job of a leader is to determine how to help men be discipled in each of these contexts. An all-inclusive view of your ministry to men helps eliminate the “us vs. them” mentality that sometimes develops between men in the church. Any growing church has lots of men who are working hard every week in faithful ministry. Many of these men are simply unable to also be involved in your men’s only activities. It’s foolish to imply that a deacon who spent 2 ½ hours installing a new dishwasher for a single mom is not part of the men’s ministry because he does not get up for the 6:30 am bible study the next morning. These are exactly the kind of men we are trying to produce, and they are a vital part of what God is doing through the men of our church. Together they were able to see that this really wasn’t a problem at all. The only problem was that as leaders they had a stunted view of what constituted ministry to men. If everything the church does that touches men is men’s ministry, then you have a vested interest in helping every ministry succeed. The other ministries in the church should believe that the men (and the men’s leadership) are eager for them to fulfill the mission God has given them. This not only includes your pastor, but also takes a lot of weight off of him. Your pastor is the “tip of the spear,” so to speak, of your efforts to disciple men. It will be a relief for your pastor to know that you don’t have to invent a whole new set of programs. Help him understand that your intention is for all the things your church is already doing with men to become even more effective. 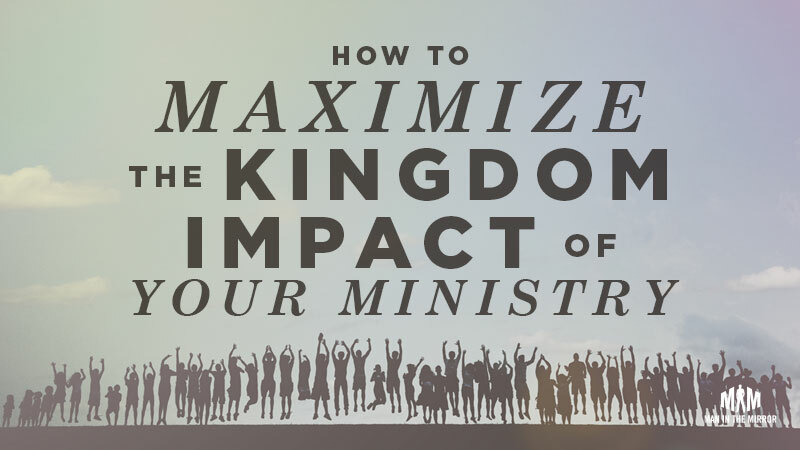 Brainstorm with him how to support the leaders of other ministries. Getting your pastor thinking about how to disciple men in your church may be the single greatest contributor to the success of your ministry. An all-inclusive men’s ministry will leverage the efforts of the other ministries in the church to help you achieve your purpose of discipling men. Rather than reinventing a men’s only activity every time, throw your weight behind some events your church has already planned that reach men. It’s not appropriate for us to say to men, “We’ll disciple you if you come to our activities or events.” Jesus didn’t say, “Come and be discipled.” He said, “Go and make disciples…” God is calling us to go where our men are and disciple them there. As a men’s leadership team you don’t have to do all the heavy lifting. Your church is probably already doing things that are working to disciple men. Remember, every activity that reaches men is men’s ministry. Take advantage of the classes, groups, and processes that are making male disciples in your church. Help the leaders and men in these settings see them as opportunities to disciple men. Support other events and ministries in the church by adopting them as part of your ministry to men. For instance, as a men’s ministry do all the setup and breakdown of your next big outreach activity sponsored by the outreach team. Offer to recruit the male volunteers for your children’s ministry summer day camp or Bible School. Rally your men around the next workday sponsored by your grounds committee. An all-inclusive men’s ministry helps every man in the church feel like they are a part of something bigger than themselves. It allows men to be involved in your church wherever they feel God is calling them to participate. If every man in the church is part of our men’s ministry, then we must come up with innovative and effective ways to communicate that message to, well, every man! For instance, one church we have worked with calls their men’s ministry ironmen. To help every man feel a part of the men’s ministry, they always refer to the men of the church as Iron Men. There are no men at the church who aren’t Iron Men. If you go to church there – even for one week – you are an Iron Man. Almost every time there is an announcement to the men, whether it is in service or elsewhere, the statement is made, “Every man in our church is an Iron Man.” Sounds hokey? Perhaps, but when you look around the sanctuary, you’ll see the guys sit up a little straighter every time it is said. Help men who assist with parking see themselves as men in ministry. Give them prayer cards each Sunday with the men’s ministry logo, a scripture verse, and a prayer request for the church. Ask them to use any down time to pray. 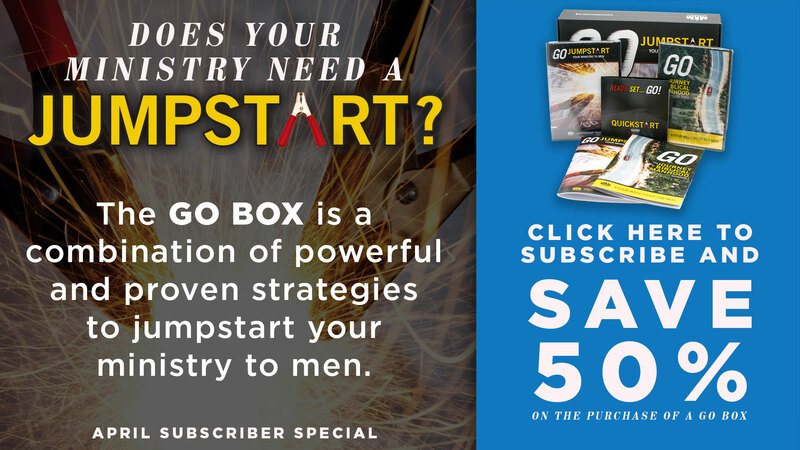 There is no end to the creative and unique ways you can help men feel like they are a part of what God is doing through the men of your church. In the end, the message must communicate that it’s not about some program that you want men to join. Help men feel like your church values and desires that every man in the church would learn to experience God’s love and the brotherhood of the other men in the church. The Big Idea: An all-inclusive ministry to men maximizes the kingdom impact of every interaction with every man in your church. The goal of your ministry to men is to create a system that moves men from wide to deep across this continuum. You have in your arsenal every interaction your church has with every man. In the next several posts, we’ll describe the engine that moves the conveyor belt and connects these activities so that every man in your church can become a passionate disciple of Jesus Christ. Don't miss a leadership post!